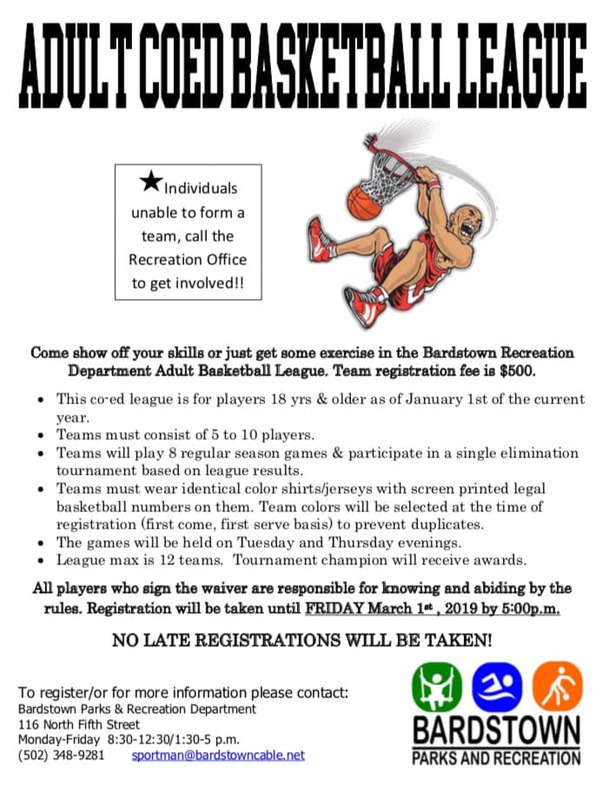 If your New Year's resolution for 2019 had anything to do with working out more, getting more involved in the community, making new friends, or trying a new activity, look no further than the Bardstown Recreation Department's adult sports leagues. With volleyball, basketball, kickball, waterobics, and Trim, Shape, and Tone fitness class, there really is something for everyone. 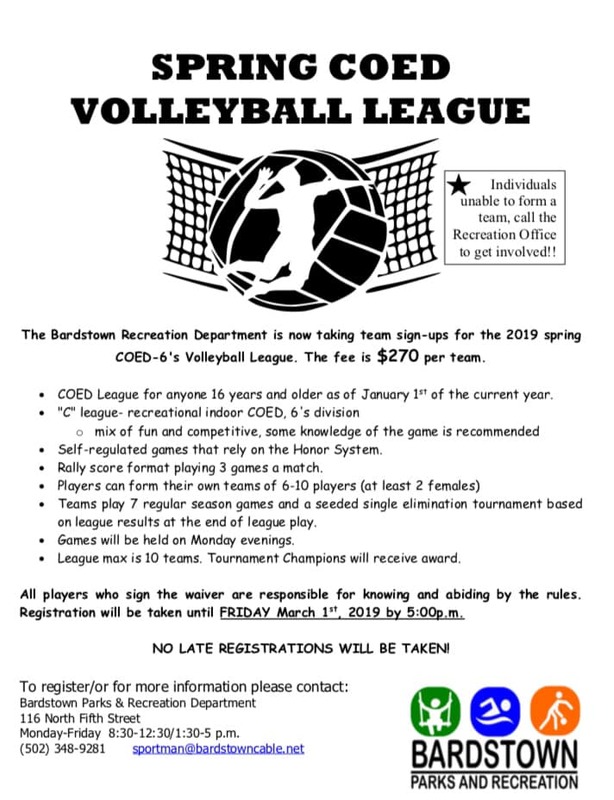 Registration for Adult Co-ed Volleyball and Adult Co-ed Basketball are coming up! Deadline to register your team is Friday, March 1st! Check out the flyers below for more information on getting involved with these great community activities. Also, check out the Rec Department page here on our City website, and follow their facebook page for the most recent updates.